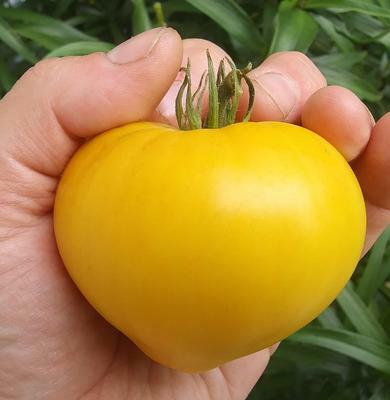 Another of the great new compact indeterminate tomatoes, Lemon Ice will keep on producing fruit, but vines top out at about 3 ft. so it works in a container. Richly flavored, super sweet, lemon yellow flesh. Small to medium heart-shaped fruit is extra early at 60 days.